It’s easy to make a two ingredient charcoal mask for your face. This helps with skin blemishes and aging, and as a bonus it’s a great detoxifier! Charcoal is great for so many healthy things, including a charcoal mask. It seems counterintuitive that it could improve your health because it’s black. I don’t know about you, but the color black doesn’t shout “HEATHY!” to me. I have an article on charcoal uses and benefits that we use in my family. If you are outdoorsy or want clean drinking water, have a look! 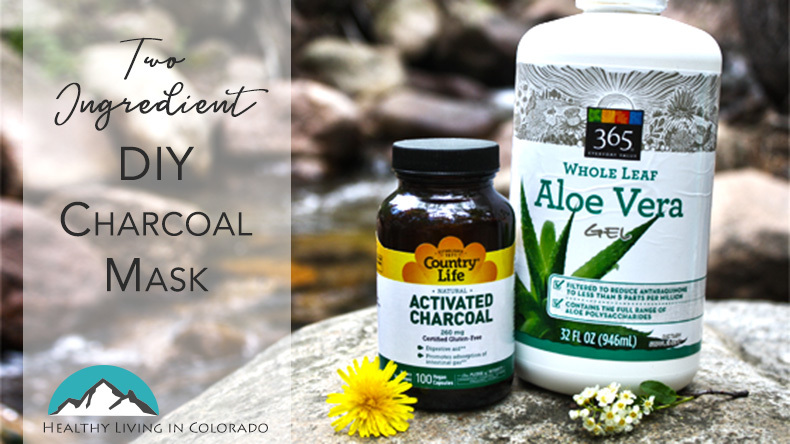 Dr. Axe has a great more medical style article on the many benefits of charcoal, so check that out for other ways you can use it as well. One of my favorite ways to use charcoal is in a DIY mask. It’s easy, refreshing, and helps your skin feel so smooth. And my daughter asks me to use it, too! 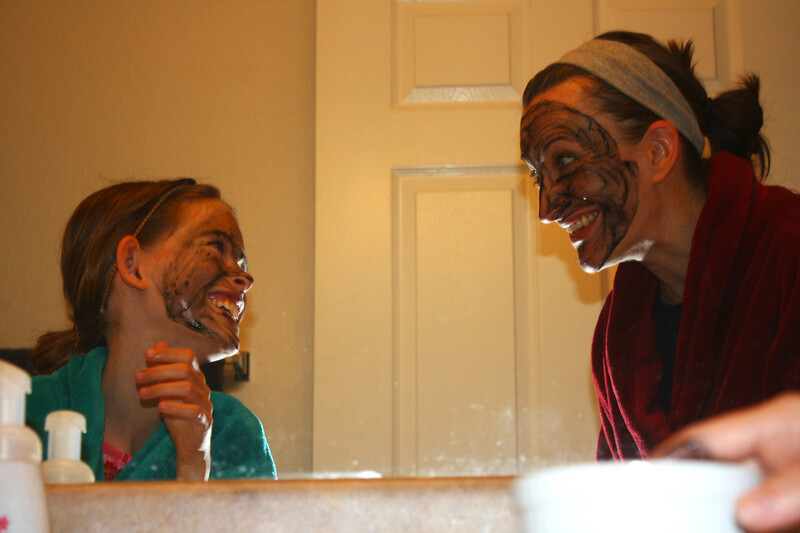 I wish I had her perfect skin, but hey… at least it’s girl bonding. Here’s what you do to make your charcoal mask. Carefully open one charcoal capsule into a small bowl, about the size of a ramekin. The tablet can stain, so wipe it immediately if it gets on you or your clothes or countertop. Blend together with 1-2 teaspoons aloe vera. Apply it to your face with your finger or a small face brush. That’s it! Leave it on for 10 minutes or until it hardens. Rinse your face with warm water when you’re done. Again be careful with your clothes while rinsing! Optional add-ins: If you have acne prone skin, you can also add 1-2 drops of melaleuca essential oil to the mixture. If you would like a natural anti-aging wrinkle fighter, add in 1-2 drops of frankincense essential oil. I hope you enjoy this recipe. Let me know in the comments if you used it, or even better post a picture. They make you look lovely! And don’t forget to share with a friend.